Police say they recovered a rambling typewritten note from 62-year-old William Spengler, who lured New York firefighters into a deadly ambush. NBC's Ron Mott reports. Police investigating the ambush Monday in upstate New York in which two firefighters were killed said Tuesday that they had found what appeared to be human remains at the gunman's home. Authorities said they believed the remains were those of the gunman's 67-year-old sister, who lived with him. William Spengler, 62, opened fire on the volunteer firefighters as they responded to a blaze in Webster just before 6 a.m. ET Monday in a small cluster of homes near Lake Ontario, police said. The firefighters — Michael Chiapperini, 43, a lieutenant with the Webster police, and Tomasz Kaczowka, 19 — were shot dead, and Spengler killed himself as seven houses burned around him. Earlier, police said Spengler had left a three-page typewritten note saying he wanted to burn down the neighborhood and "do what I like doing best, killing people." At a second briefing Tuesday, Webster Police Chief Gerald Pickering said police believed the probable human remains were those of Cheryl Spengler, 67, who had been missing since the ambush. Officials provide the latest details on the ambush that killed two firefighters while responding to a blaze in Webster, N.Y.
Pickering said two other firefighters shot during the ambush, Joseph Hofstetter and Theodore Scardino, were recovering at a hospital in Rochester. A spokeswoman at Strong Memorial Hospital said the two were in guarded condition and were alert and oriented, but she didn't expect them to be released for a few more days. An off-duty police officer also was hit by gunfire as he drove past the scene Monday morning. No information on his condition was immediately available Tuesday. Pickering said Spengler armed himself with three weapons and set his house afire to lure first responders into a death trap. Spengler's note didn't appear to offer a motive, Pickering said, but "he was equipped to go to war and kill innocent people." "I'm not sure we'll never really know what was going through his mind," the chief said. Despite being shot, one of the injured firefighters was able to flee from the scene under his own power. But the others remained pinned down on the narrow strip of land near Lake Ontario until a SWAT team arrived. As police closed in, Spengler took his own life with a gunshot wound to the head, Pickering said. William Spengler, 62, in an undated booking photo. Spengler had lived in the house with his sister and mother, Arline, who died in October at 91. Arline Spengler's obituary asked that memorial donations be made to the West Webster Fireman's Association. A former neighbor told The Associated Press that Spengler "loved his mama to death" and that he "couldn't stand" his sister. The neighbor said he thought Spengler "went crazy" after his mother died. Spengler was convicted of manslaughter in 1981 after the death of his grandmother, Rose Spengler, 92, and was paroled in 1998. 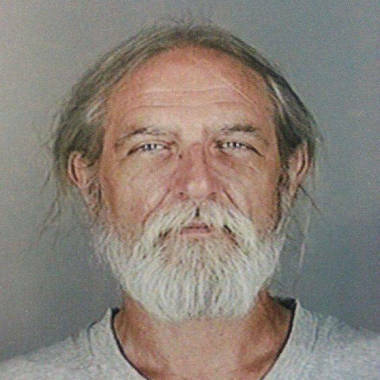 He remained under parole supervision until 2006, the Rochester Democrat and Chronicle reported. Before Monday's shooting, Webster police hadn't had any run-ins with Spengler since he was paroled, they said. Although Spengler couldn't legally own firearms as a convicted felon, police said he was armed with a Smith & Wesson .38 revolver, a 12-gauge pump shotgun and a Bushmaster .223 caliber rifle. At least 33 people were displaced by the fire, which engulfed at least seven homes and a motor vehicle. "These firemen are part of our family. You go into a fire with these guys. To see them go down with something like this is totally unexpected. We are in shock," Billy Gross, fire commissioner for West Webster, told the Democrat and Chronicle. Dozens of area residents were evacuated, with police searching them as they left, the newspaper reported. "Miserable thing to happen this time of year," Mark Johns, a state assemblyman who represents the area, told local NBC station WHEC. Johns said he knew some of the firefighters who were shot. New York Gov. Andrew Cuomo issued a statement offering his "deepest condolences." "All of our thoughts and prayers go to the families and friends of those who were killed in this senseless act of violence," Cuomo said. "New York's first responders are true heroes as they time and again selflessly rush toward danger in order to keep our families and communities safe." Tom Winter, Ranjani Chakraborty and Rosanna Arlia of NBC News contributed to this report.